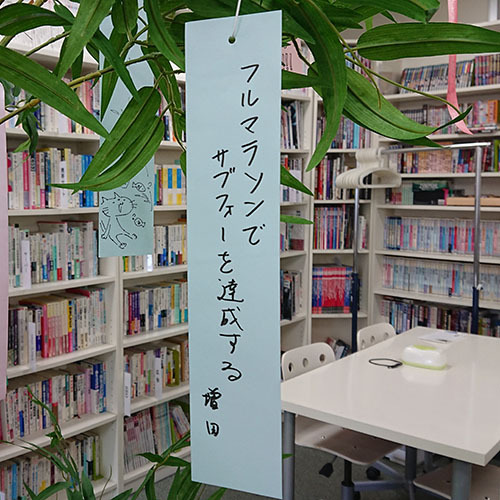 It is a tradition that every year, as Tanabata draws near, the AMATA office is decorated for Tanabata. When I look at these decorations, I feel like summer has finally arrived. It’s okay! Your wishes will definitely come true. Earnest wishes. Let us have great expectations for the latter half of the year! A new record! I am giving encouragement from the shadows. The Tanabata period is different depending on the region, but as AMATA has a studio in Sapporo, the Tanabata decorations are displayed until August 7th (Tanabata in Hokkaido is on August 7th). I will introduce the Sapporo studio staff’s paper strips another time.